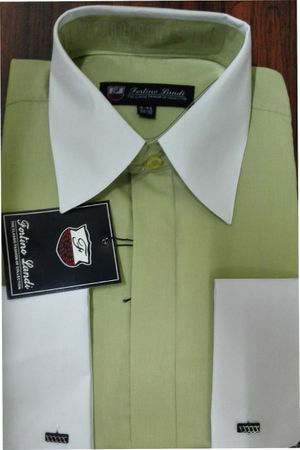 Two tone men's dress shirts are what the fashion Doctor was talking about and these great looking Riley collar two tone dress shirts by Milano Fortino are just the cure for what your fashion style was seeking. Featuring stylish french cuffs and a Riley style collar ready for making a great impression. Fabric is cotton/poly easy care.